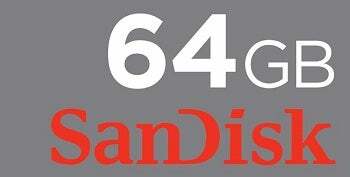 Flash memory maker SanDisk released its highest ever capacity SD memory card this Monday. The new SanDisk Ultra SDXC has a massive 64GB capacity, and although not the first SD card to boast such high-capacities, the company claims that its new card is ideal for a wide range of demanding portable gadgets. The exFAT-formatted memory card can read data at a 15MB-per-second rate, and according to SanDisk, it's enough sotrage for eight hours of high-defnition video. However, don't jump for your wallet just yet, as the new high-capacity card is priced at a hefty $349.99. If the price hasn't put you off, then compatibility issues might: The 64GB card is an SDXC card based on the SD 3.0 specification, so in order to make use of SanDisk's latest you will need a recently released SD 3.0 capable device. 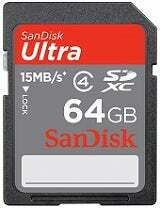 The new 64GB SanDisk Ultra SDXC card is available now for $349.99, with an included lifetime warranty, from SanDisk.com. Want more geek? Follow GeekTech and Chris Brandrick on Twitter.